Huawei Technologies Chief Financial Officer Meng Wanzhou exits the court registry following the bail hearing at British Columbia Superior Courts in Vancouver, British Columbia. A Canadian court has granted bail to a top Chinese telecom company executive wanted in the United States, as diplomatic tensions turned to the detention of a former Canadian diplomat in Beijing. 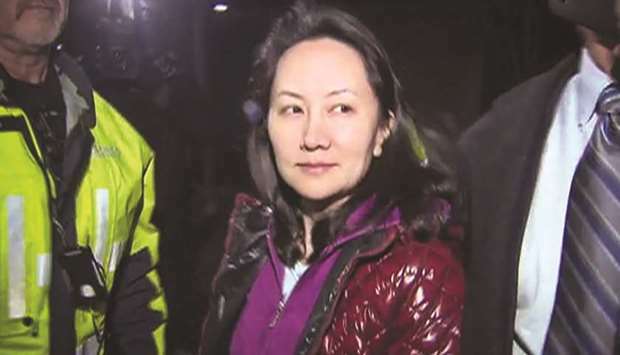 Meng Wanzhou, the chief financial officer of Huawei, was released on C$10mn (US$7.5mn) bail in a case that has rattled relations between China, the United States and Canada. Meng, who faces a US extradition bid on charges related to alleged violations of Iran sanctions, was also ordered to surrender her passport and will be subjected to electronic monitoring. “The risk of (Meng’s) non-attendance in court can be reduced to an acceptable level by imposing the bail conditions proposed by her counsel,” a judge in Vancouver said, prompting the courtroom packed with her supporters to erupt in cheers. 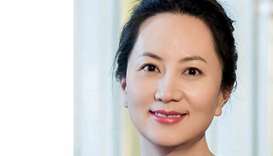 Meng, who later left in a black SUV, will be allowed to stay at a luxury home owned by her husband, Liu Xiaozong, in Vancouver. 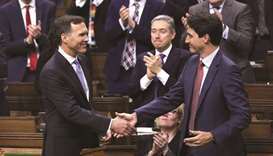 Her December 1 arrest in Vancouver has shaken China’s relations with Canada and the United States, and raised concerns that it could derail a US-China trade war truce. US officials have said the arrest was unrelated to the trade talks, but President Donald Trump told Reuters he “would certainly intervene” in the case if it can help strike a deal with China. “If US officials and the US government want to make positive efforts towards the right direction about the issue, we welcome them,” Chinese foreign ministry spokesman Lu Kang said Wednesday at a regular briefing. Huawei is a strategically key company for China’s global high-tech ambitions but some of its services have been blocked in the United States, Australia, New Zealand and Britain over security concerns. Meng, who is the daughter of Huawei’s founder, is accused of lying to bankers about the use of a covert subsidiary to sell to Iran in breach of sanctions. 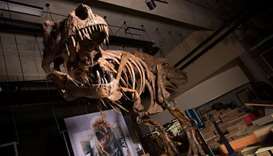 If convicted, she faces more than 30 years in prison. The extradition process, scheduled to start on February 6, could take months, even years, if appeals are made in the case. 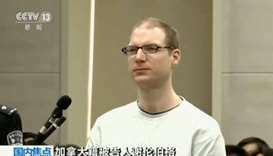 Her lawyer, David Martin, argued that she was not a flight risk because it would otherwise “embarrass China itself”. 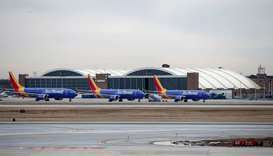 She had also cited health reasons for requesting bail. During a pause in proceedings, Martin said Meng looked forward to spending time with family, reading novels and maybe applying to a doctorate programme while the extradition case plays out. Huawei said in a statement it was confident that the courts would “reach a just conclusion” in the case and stressed that the company complies with all laws and sanctions. While Meng secured her release, the International Crisis Group (ICG) think tank said its North East Asia senior adviser, former Canadian diplomat Michael Kovrig, was detained by Chinese state security in Beijing on Monday and has had no information about him since then. 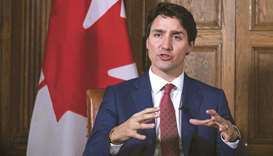 Canadian Prime Minister Justin Trudeau voiced concern over the detention. “This has our attention at the very highest level of our government,” said Canadian Foreign Affairs Minister Chrystia Freeland. 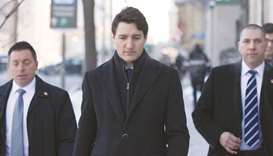 China had warned Canada of “grave consequences” over Meng’s arrest as it demanded her release, although Canada said no link between the two cases had been established. Lu, the Chinese foreign ministry spokesman, said ICG was not legally registered in the country and its employees would be “in violation” of the law if they were engaged in activities in the country. Lu did not offer more details about the case. Some 20 Chinese police officers patrolled outside Canada’s embassy yesterday but they refused to explain their presence. Kovrig, a Mandarin speaker, was a political officer at the embassy from 2014-2016 who met with dissidents and travelled to China’s restive far west Xinjiang region, Saint-Jacques said. 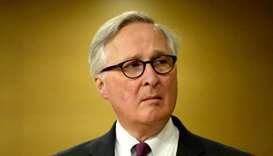 He took an unpaid leave from the embassy because he “loves China” and wanted to continue to work in the country, the former ambassador said. The US State Department called on China to “end all forms of arbitrary detentions.” Brussels-based ICG said in a statement that it has received no information about Kovrig since his detention and is concerned about his health and safety. “Michael did not engage in illegal activities nor did he do anything that endangered Chinese national security,” ICG president Robert Malley told AFP.